21Things4Students is an online project-based resource to help students improve their technology proficiency as they prepare for success in the real world. 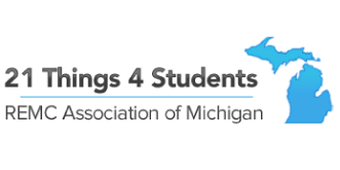 It addresses all of the International Society for Technology in Education Standards for students (ISTE) and Michigan's Integrated Technology Competencies for Students (MITECS) competencies. Teachers value 21Things4Students because it's hands-on, experiential, relevant, self-paced, applicable and adaptable. Students say they love these activities.